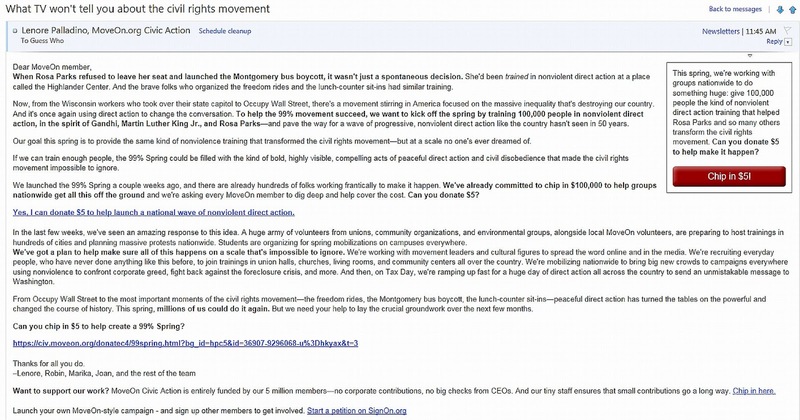 If you still believe the Occupy "movement" was spontaneous, think again. It's all orchestrated by those who have long sought to destroy America as we know it and rebuild a socialist society. The following email I received from Moveon.org explains their goal along with asking for our money to do it. As for their words of "nonviolence?"